Surrounded by borders of over-one mice which hamster some rosehips for their dinner… trying not to be noticed by the cats ! 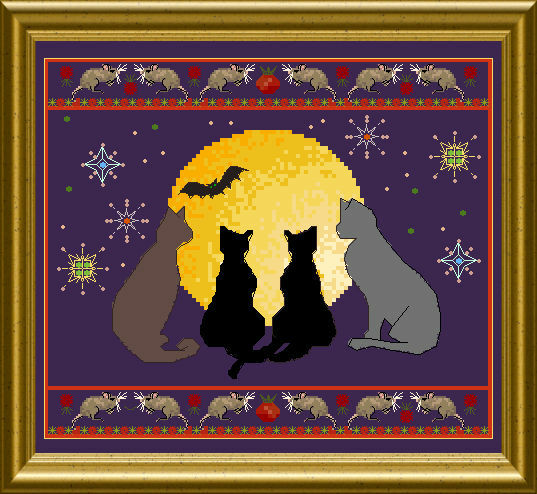 You can stitch the cats with a diversity of black threads, or give them individual shades of grey…. Sparkling stars in the night use some crystals and beads for the “twinkle” effect. 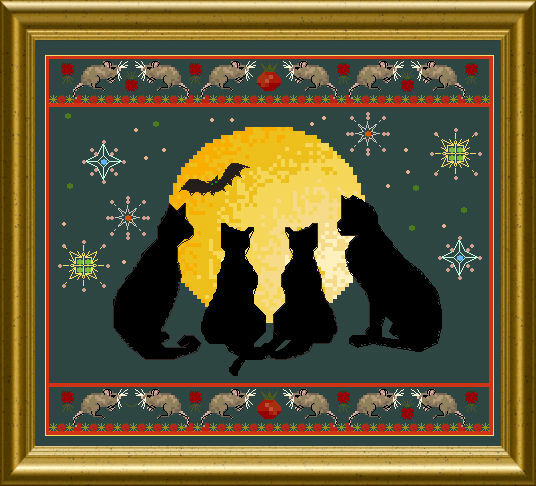 A quick stitch, except the mice, which will need some attention – but they will look sooo lifelike ! Next PostNext SD 042 – A “Witch-y” cat… ready to fly into a Halloween’s night !